Snapchat joins Apple on Bluetooth consortium, plots wearable augmented reality hardware — The latest member of the Bluetooth Special Interest Group is growing social media platform Snapchat, amidst rumors the company is working on a wearable augmented reality device that will expand its presence into hardware. Elgato soon to expand its HomeKit Eve peripheral line with motion sensor — Elgato appears to be growing its stable of home automation devices, with the the first HomeKit compatible motion sensor called the Eve Motion spotted in Berlin [there has been no official announcement yet]. The new motion sensor by long-time Apple accessory vendor Elgato has a 120° motion sensor, a temperature sensor and it’s splash-proof. The device runs on a pair of AA batteries with a lifetime of a year. 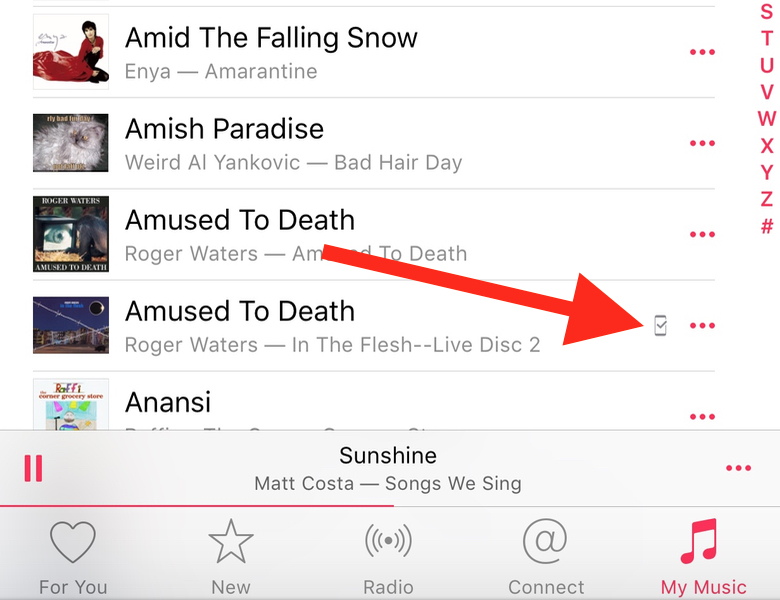 Downloading Apple Music items to your device in iOS — If you’re subscribed to Apple Music, you may wonder how to tell if a particular song is downloaded to your iOS device (or if you have to stream it when you play it, which means you won’t be able to listen if you don’t have a network connection). Here’s how you do it. Apple wants more quality, shorter names for apps in its app stores — Apple has sent a note to developers saying it will implement two new suggestions “to make it easier for customers to find great apps that fit their needs” from the developer community starting September 7 (which just happens to be the data of Apple’s next media event). One of those changes is shorter app names. In hopes of influencing search results, some developers have used extremely long app names which include descriptions and terms not directly related to their app. Apple says that these long names are not fully displayed on the App Store and provide no user value. App names developers submit in iTunes Connect for new apps and updates will now be limited to no longer than 50 characters. 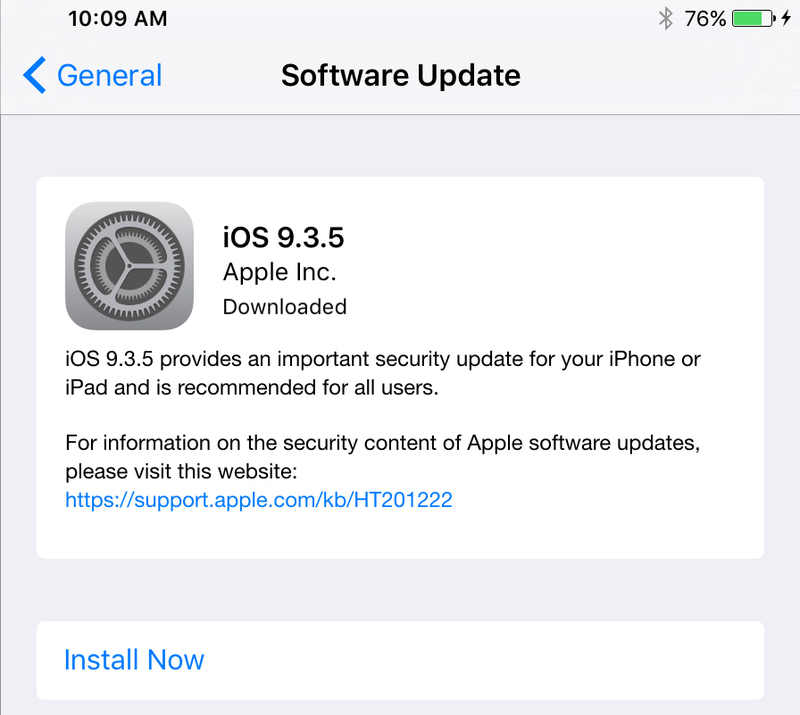 Update iOS 9 NOW — If you’re using an iPhone, iPad, or iPod touch, you need to update to iOS version 9.3.5 without delay. Apple released iOS update 9.3.5 almost immediately to stop a sophisticated, targeted, and persistent mobile attack on iOS devices. While it’s unlikely you are currently infected with the exploit known as Trident, you should update your iOS device to version 9.3.5 immediately. To do that, tap Settings—>General—>Software Update. If the 9.3.5 update is available. Apple’s iPad an effective sedative for children about to undergo surgery, study finds — A research study presented Tuesday claims iPads are just as effective as medicinal sedatives for reducing pre-surgical anxiety from nervousness about the procedure compounded by parental separation on children between ages 4 and 10. Garmin’s new action camera can be used with iPhones and iPads — Garmin has announced the VIRB Ultra 30, a waterproof action camera that can shoot Ultra HD footage at 4K/30fps or take 12-megapixel photos. It can also be used with Mac compatible software. iTrip Clip makes your headphones wireless ahead of iPhone 7 launch — Apple is most likely ditching the 3.5mm audio jack on the iPhone 7, so Griffin Technology’s new iTrip Clip lets you cut the cord, so to speak, on your wireless headphones and earbuds and go Bluetooth instead. The iTrip Clip supports Bluetooth 4.1, includes playback and volume controls along with a built-in mic for voice calls and Siri commands, has the 3.5mm headphone jack that your brand new iPhone doesn’t, and runs for six hours between charges. The iTrip Clip costs US$19.99 and will be available in September. olloclip announces Pivot, an iPhone-compatible articulating grip — olloclip has unveiled announced the Pivot, a compact articulating grip optimised for mobile videography. iPhone compatible, it features an articulating hub that provides 225 degrees of rotation to ensure proper positioning. Misfit debuts Apple-exclusive Ray fitness tracker colors, new Shine 2 options — Wearable device maker Misfit on Wednesday unveiled new colour options for its Shine 2 and Ray fitness trackers, the latter of which is slated to arrive at Apple’s retail stores this fall in Apple-inspired colors. 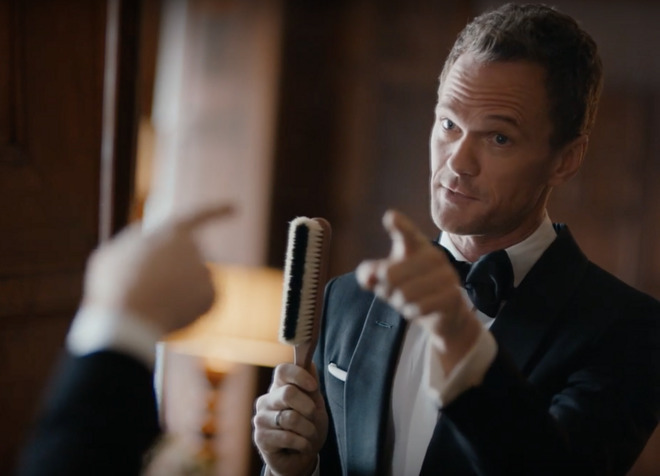 Neil Patrick Harris shows off ‘Hey Siri’ in Apple’s latest iPhone 6s ad — Actor Neil Patrick Harris has once again joined Apple to promote the iPhone 6s, this time in a new TV ad where the Oscar and Tony host dictates notes to his iPhone using its “Hey Siri” handsfree capabilities. In the new 30-second ad, Harris prompts his phone to read a saved memo from the Notes app using only his voice. Siri responds accordingly, allowing Harris to freshen up his tuxedo and practice the speech without touching the iPhone 6s. Meet Viv, the new voice assistant from the creators of Siri — Siri made the iPhone more responsive with artificial intelligence, but now its founders want to put AI in every device you own. Dag Kittlaus, who cofounded Siri, left Apple five years ago, but now he’s back with a new voice assistant named Viv that he predicts will change the way we interact with not just our phones, but our home appliances, cars, and more. Viv has gotten a lot of hype for a product that hasn’t shipped yet, but Kittlaus demoed Viv publicly for the first time at TechCrunch Disrupt on Monday. Microsoft embraces Apple’s 3D Touch in OneDrive update — Users of Microsoft’s OneDrive cloud storage service will now be able to browse more easily through their files — as long as they have an iPhone 6s — as the Redmond giant has added Apple’s 3D Touch. Eight changes that could make the iPad Pro even better — Jason Cipriano loves his Pro but reckons these changes would improve it. I’ve managed to scratch my iPhone 6 screen in the 14 months since I bought it, so I was glad when this tempered glass screen protection showed up. Scratch resistant with a 9H hardness, bubble-free (the plague of plastic screen protectors) and it’s also, theoretically, shatterproof. Shipping with, simply, a cleaning cloth, it’s easier to apply than most since it only has plastic on one side. Most have it on both: peel one off, stick that face to the screen, peel the other off. On this product by NVS (designed in New Zealand and made in China) you just peel off one cover of plastic and stick that surface straight to the cleaned iPhone screen, then use the same supplied cloth (which then becomes a great screen and glasses cleaner) to smooth it on. The adhesive that sticks it to the glass, which is totally translucent and invisible, is what offers the shatter protection. A nano coating gives a smooth surface and minimises fingerprints; it seems better in this regard than the actual iPhone screen itself (a 6, in my case). Conclusion — A good entry into the market for keeping your iPhone screen clear and unbroken. Very clean and clear in use. What’s great — Straightforward and easy to apply compared to some. What’s not — Slight lip around the edge, but preferable to trying to seamlessly fit a curving glass shield all around (it’s only .33mm thick). Apple has stated that as long as a glass screen protector is 0.3mm thick or less it should work with Force Touch; in this case this NVS probably won’t, then, but I wasn’t able to test that. 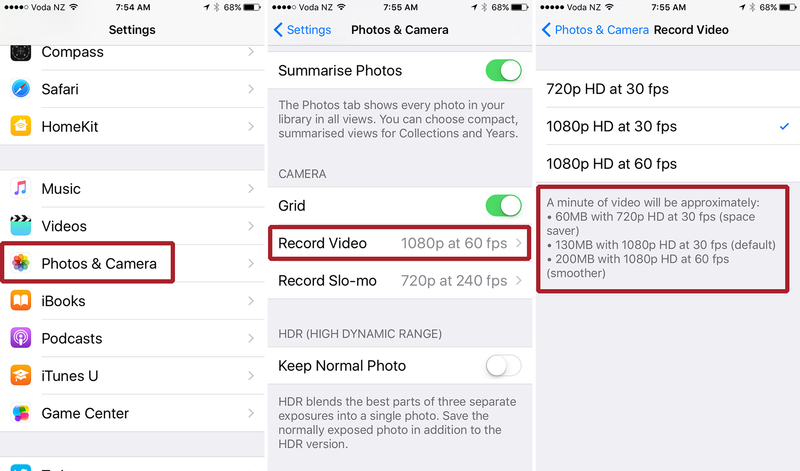 1/ Change your iPhone’s video capabilities — Apple’s default is the “1080p HD at 30 fps” choice. Go to Settings> Photos & Camera>Record Video. There’s a handy approximation (in yellow) for how much space you’ll be taking up with each configuration. So if you only have a 16GB iPhone, it’s probably not that wise to record only 4K video unless you plan on clearing off your Camera Roll approximately every day of your life. If you select any of the other options, your device will helpfully inform you of that whenever you’re taking videos from then on. If you’re on the default setting, though, you won’t see any info in that spot. 2/ Stop your screen rotating — Does your phone switch orientations on you at random, just because you tilted it slightly too far in one direction or another? To prevent this sort of annoyance (in my case, reading in bed is the best time to lock screen rotation). Luckily iOS has screen rotation lock: wake your iPhone if it isn’t already, then slide your finger up from the bottom edge to bring up Control Center. Tap the Orientation Lock button (the lock icon with a circular arrow surrounding it at top right) so it turns white. Slide the Control Center pane down again to hide it, and your screen’s contents will no longer rotate as you turn your device on its side. 3/ Lock rotation on iPad — The rotation lock works pretty much the same on the iPad, but with an added caveat: you can switch the Mute button toggle on the left side of the device to function as the orientation lock switch instead. Go to the Settings app, tap General, then tap Lock Rotation under the “Use side switch to:” heading. When you switch the side toggle to function as the rotation lock, the Mute function takes the rotation lock’s place in Control Center. 5/ iOS 9 on iPhone 6s and 6s Plus — If you have the latest version of Apple’s iPhone, remember that pressing harder on apps gives all sorts of other capabilities, and it can do Live Photos (which animate for a few seconds) but they take up lots more space. If you have an ‘s’, check out Mac Observer’s catchup page to remember all its new tricks. 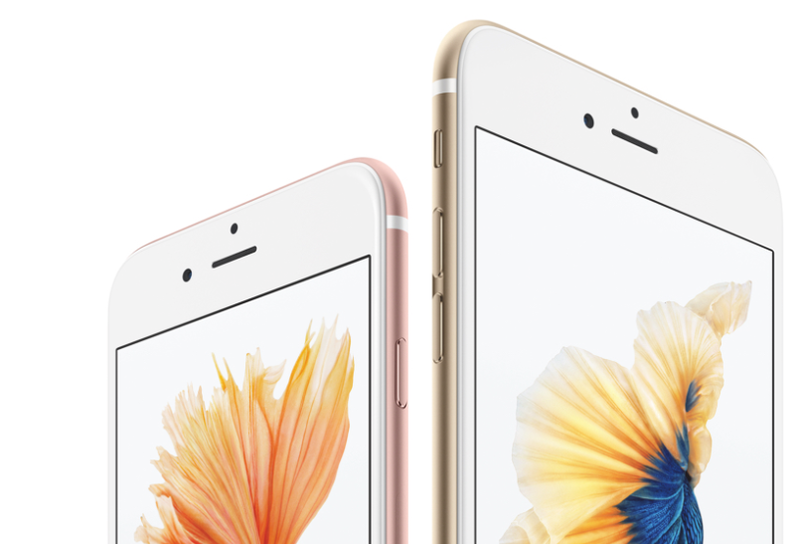 iPhone 6s — There have been some complaints [of course] that the new iPhone 6s and 6s Plus aren’t innovative. Not true. Just because they look pretty much the same as the iPhone 6 and 6s doesn’t mean there aren’t plenty of impressive under-the-hood improvements. Apple’s efficient M9 coprocessor will let your iPhone 6s track pace, make ‘Hey Siri’ always on. It borrows new fitness capabilities from the Apple Watch, by estimating your walking or running pace, and here’s how Apple’s new Retina Flash, which was 5 years in the making, brightens up selfies on the iPhone 6s. Apple axes gold colour, 128GB options for iPhone 6 and 6 Plus models — After announcing its new iPhone 6s lineup on Wednesday, Apple has apparently discontinued gold and the 128GB configuration options for previous-generation iPhone 6 devices, leaving only Space Gray, silver and 16GB and 64GB versions left. iPad Pro with Smart Keyboard vs. MacBook: A hypothetical smackdown — Would an iPad Pro with the Smart Keyboard hypothetically kick the petite rear end of the 12-inch MacBook or any other MacBook Air or MacBook Pro? Because the iPad Pro is positioned to take on the laptop market. Apple seeds first iOS 9.1 beta to developers, adds new taco, burrito & unicorn emojis — In tandem with the GM releases of iOS 9, watchOS 2, and OS X El Capitan on Wednesday, Apple also issued the first-ever beta of iOS 9.1. Apple posts new iPhone 6s, iPad Pro, Apple TV and Apple Watch videos — Following a big hardware blowout in San Francisco on Wednesday, Apple has uploaded ad spots and product reveals for the new iPhone 6s, iPad Pro, Apple TV and Apple Watch to its official YouTube channel. New Microsoft Office features — Microsoft unveiled new Office for iPad features on Apple’s stage when a Microsoft exec really demoed new Office features. Paper by FiftyThree Comes to iPhone — FiftyThree’s Paper is my go-to drawing app on the iPad, and now it’s available on the iPhone, too. Along with support for the iPhone 5 and newer, as well as the iPad and iPad mini, Paper 3.0 lets you create text notes and check lists, import photos from your camera roll, and export to Keynote, Powerpoint, and PDF. You can also share drawings with other apps and your camera roll, Dropbox, and social networks like Twitter. New Apple TV ships in the northern Fall with Games, Siri Remote, and Apps — Apple pulled out all the stops with Apple TV during Wednesday’s Hey Siri event, introducing new hardware, a new interface, a new remote, voice controls that are amazing, a new operating system called tvOS, and an SDK for developers to make their own apps (but it won’t have 4K support). Users can also use their iPhones for as game controllers in multiplayer games. Apple TV ships later this NZ spring starting at US$149 with 32GB of storage and US$199 with 64GB (no official NZ date or pricing yet). 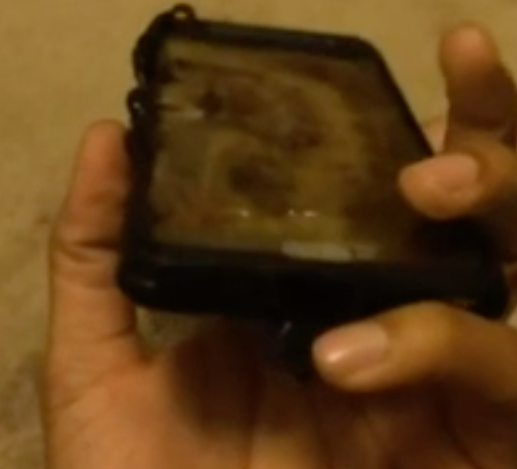 LifeProof made the so-called ‘nüüd’ cases for iPhone 4 and 5 that let you listen to music in the pouring rain and even shoot video under water, if you got the video going before you jumped in (the touch screen doesn’t work to initiate filming while under water). Now, along with adding a tough waterproof case that fits iPhone 6, a range of mounting options is also available. The LifeProof nüüd case comes with a screw-in cable that your earbuds then connect to. It screws in tight to the case to retain the waterproof seal. The case itself snaps together very solidly over the case – you clean your iPhone carefully first with the supplied microfibre cloth to you don’t trap and dust or grit between it and the case. Although this is the perfect case, in many ways, for those in wet and/or dusty environments, it adds considerable bulk to the 6, virtually making it unpocketable. Also, sealing up your iPhone to this extent inevitably leads to compromises – buttons become harder to press, the screen is a less responsive and so on. 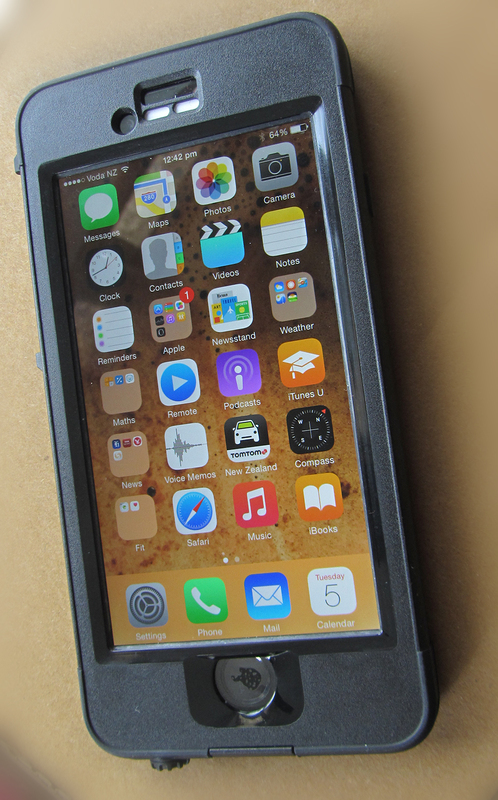 Still, if the compromises are those you’re willing to accept for having a dust-proof and waterproof sealed-up iPhone that’s also demonstrably ‘biggened’, the LifeProof nüüd case certainly does the trick and it’s rugged, too – it reaches the military drop standard. The nüüd for iPhone 6 comes in dark grey, mid grey, light grey or clear with different coloured highlights, and there’s an iPhone 6 Plus version too. NZD$129.95. Nice, firm clip securely fastens the LifeProof to the handlebar. Mount up — Various companies have experimented with various mount methods – Logitech uses a strong magnet, for example, for its car mount combined with a metal insert in a case or that you can stick to a case. LifeProof’s system is called Bike + Bar Mount with QuickMount. The Bar Mount clamps to bicycle, motorcycle and jet ski handlebar (assuming you also have the waterproof case!) with a strong clip, and a stick-on fitting goes on, preferably, to an iPhone case if not the iPhone itself attaches to this with a click. It’s held in a four-sided clamp which is also magnetic. It would pay not to forget to also lock this with the locking lever before you set off. With your iPhone mounted, you can use it for navigation, for example, and here’s a good case (ha ha) for using it in that tough nüüd case. 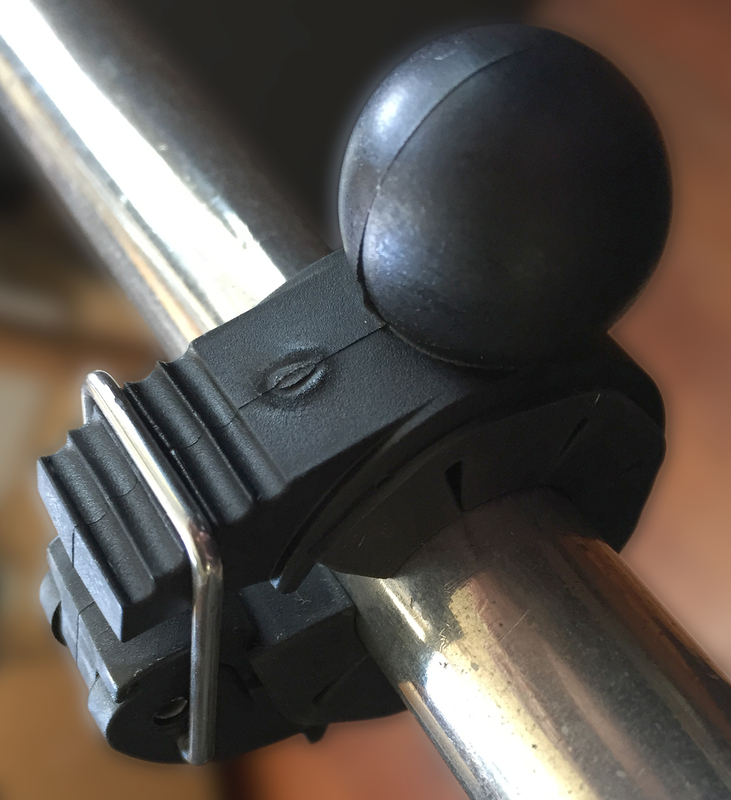 The clamp adjusts to fit 20.3-32.5mm bar diameters and can also be clamped to the thicker parts of mic stands and other things. Equipped with an adjustable ball joint, the smartphone handlebar mount lets you switch between portrait and landscape positions in seconds. A turning collar lets you securely lock the gimbal in the position you prefer. To release the iPhone, you turn it until it lifts off – this action can be locked, too, with a little lever so you can’t take it off by mistake. There is also a spare grip part for clamping to the bar and even a spacer segment for a really skinny bar. 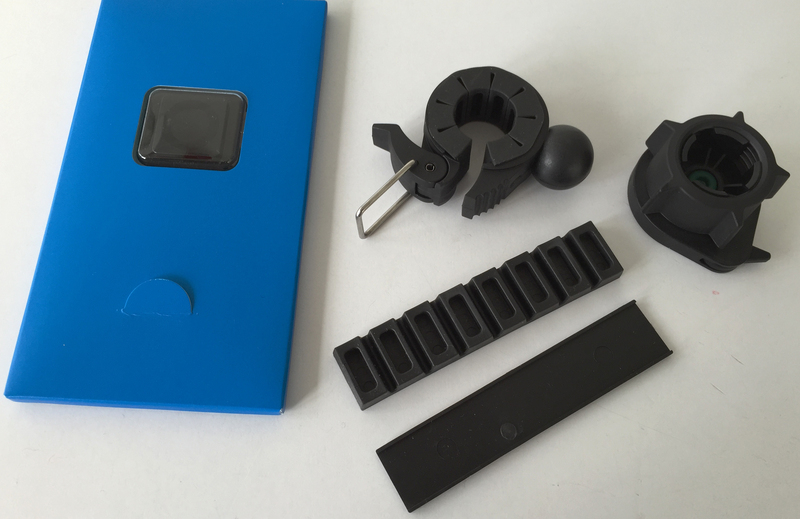 What comes with the bike mount – in the blue package is the stick-on attachment plate for the back of your iPhone. Now, once upon a time, a couple of years back, I tried out a bike mount and note that I only cycle on roads. At the very first bump, which wasn’t even a bump I’d noticed before, my iPhone flew out of the bracket and skittered across the tarmac. I’m not game to try it again, so I apologise for that, but this system seems a lot more solid than my previous disaster. I suspect it would be fine for road use – for that commute into work – but I’m not sure I’d trust it on the trail, with lots of bouncing around, and I apologise for not being willing to put my still-fairly-new personal iPhone to that test. Also, I listen to podcasts when I’m cycling, much to some people’s concern, and so it’s better for me to have it in my back pocket with the earbud cord threaded under my shirt. That said, the 20 or so user reviews on the LifeProof site assert it’s pretty solid – and it certainly looks well made (below). Bike + Bar Mount with QuickMount: NZ$54.95. 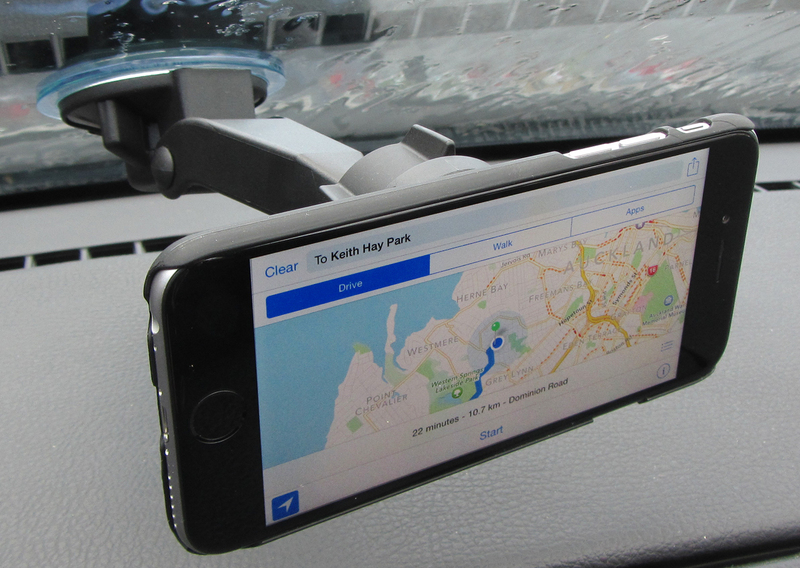 Suction Mount with QuickMount — This is a very effective solution for drivers. The mount part is the same as on the bike mount, which in a car feels wholly secure with the added benefit it’s easy to mount the phone to it once it’s suctioned to your windscreen, and gives you lost of mounting angles and adjustments compared to that afore-mentioned magnetised Logitech car mount. 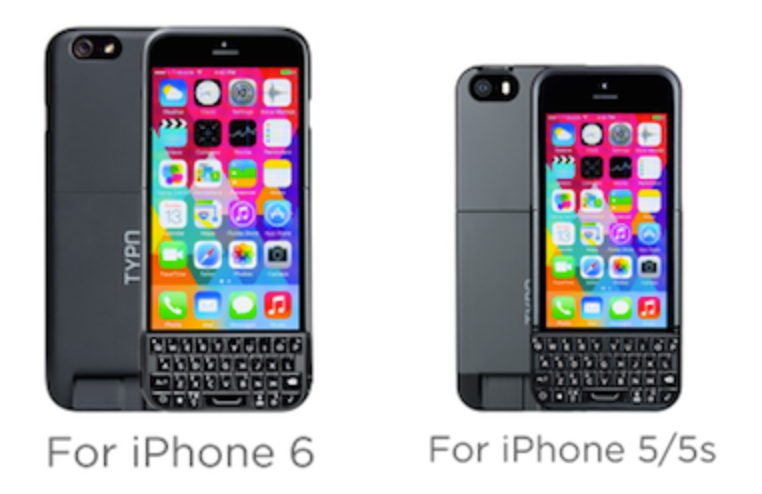 It also lets you use the iPhone hands-free for calls etc. Adjustments for up and down and for tilt ensure you can get the perfect angle in your car. On the phone end is the same magnetic/mechanical attachment, thanks to that plate you stick to your iPhone back or case. I like this snap-on, quick twist-and-remove action. I like this; I’m going to use it a lot. Mac NZ Buying Advice — I like the magnetic.mechanical attachment. It’s easy to put on and easy to take off. 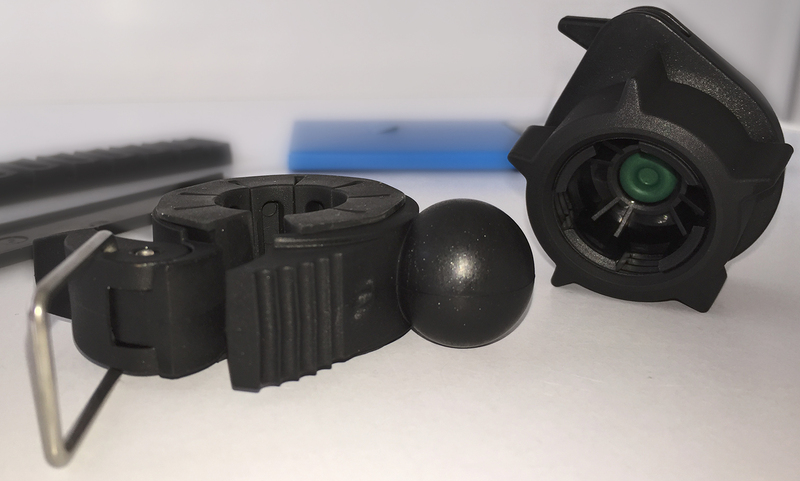 Both mounts are made from reassuringly solid-feeling parts. iPhone 6+ users browse twice as much as other iPhone users (image from Apple NZ’s iPhone site). Smartphone thefts plummet after kill-switch introduction — The number of thefts and robberies of smartphones, particularly iPhones, is on the fall in New York, London and San Francisco, according to data to be released Wednesday. Apple added a kill switch, called Activation Lock, to its iPhone in September 2013. Here’s Apple’s advice on how to turn it on and use it, btw. Six things Apple should fix in iOS 9 — Susie Ochs reckons that rather than just cleaning up iOS and making sure all the bells and whistles added in iOS 7 and iOS 8 work like they’re supposed to, she has some suggestions. iPhone 6 Plus owners consume twice the data of their iPhone 6-owning counterparts — Apple iPhone 6 Plus owners outpace all other iPhone owners in data consumption, doubling the amount used by iPhone 6 owners and exceeding iPhone 3GS owners by a factor of ten. As reported by Citrix, the data consumption pattern of iPhone 6 Plus owners mirrors that of tablet users. Of course, the iPhone 6 Plus makes it a breeze to browse websites, watch movies and navigate maps on the go. Kow-towing … Chinese internet regulator gets private look at Apple Watch — Want a private, behind-closed-doors glimpse at Apple’s new smartwatch, complete with a guided tour by Tim Cook himself? You just have to be China’s Cyberspace Administration minister. That’s the treatment Lu Wei, China’s Internet Minister, received during his recent visit to California. Fit Brains Trainer keeps your grey matter in shape — While a lot of us are at least making the attempt to keep our bodies in shape, not so many people think about keeping their brains fit. That’s the idea behind a recent app from Rosetta Stone Canada called Fit Brains Trainer (free, with in-app purchases). 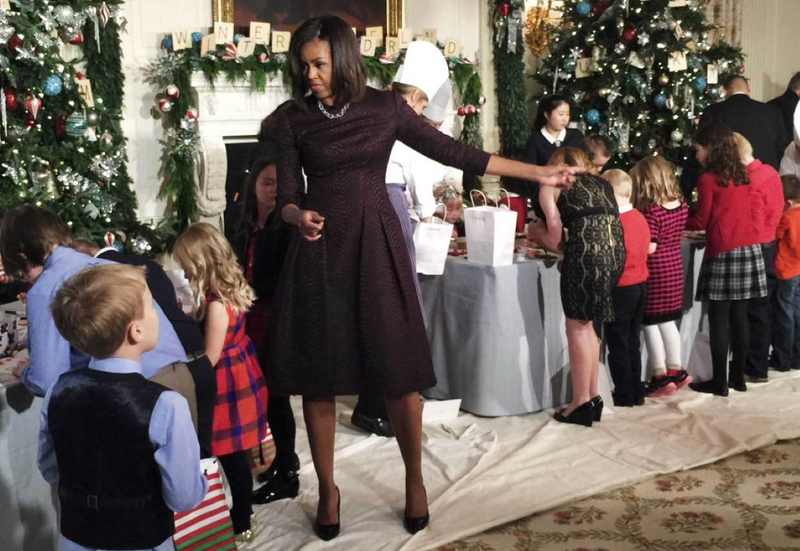 White House photographer used an iPhone 6 to catch people off-guard — Christmas at the White House means a whole lot of camera flashes, poses, and smiles, and that usually means plenty of fancy camera equipment. For one seasoned photographer, Apple’s iPhone is the tool of choice this year. As Time reports, photographer Brooks Kraft – who has spent over a decade covering events at the White House, decided to take a different approach to capturing this year’s Christmas festivities. How Apple’s iPad could flourish again — Apple’s iPad sales have been declining. Everyone in North America and Europe who needs or wants one has bought one. Now, Apple is faced with the need to engage new, perhaps less affluent geographies. But also, crucially, there is the business of getting the iPad on a path to more capabilities, growing with user needs and expectations. The phenomenal sales of the MacBook Air punctuates this lack of iPad development and maturity. Best holiday gifts under (US)$75 — It’s time to save some of that hard-earned cash with our Daily Deals, featuring exclusive TUAW Deals, a handy list from Dealnews and TUAW’s handpicked iOS and OS X selections. Square releases Caviar restaurant delivery app, Tomb Raider II comes to iOS — Two interesting new apps hit the App Store recently, as payments company Square unveiled a new app for its Caviar restaurant delivery service, while game studio Square Enix brought another classic game to Apple’s portables with Tomb Raider II. Exclusive: The iPhone 6’s A8 chip can play 4K video — The iPhone 6 is an incredible device capable of wonderful feats, like shooting 4K video as long as you have the right app. Sadly, you can’t watch 4K video on the iPhone 6, right? Actually, you potentially can. 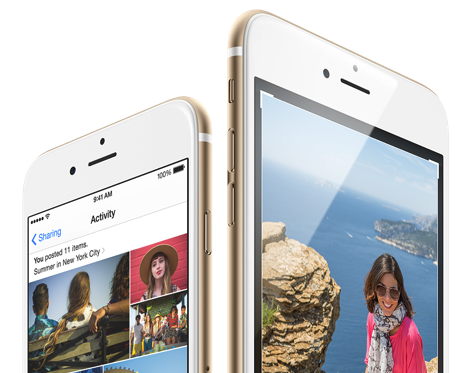 The iPhone 6 and 6 Plus can play 4K video right out of the box thanks to its A8 chip. The discovery was made by the developers of WALTR, a great Mac app that allows users to quickly upload video files to their iPhone which aren’t supported by iTunes, such as FLAC and MKV files. While testing the app developers found it is possible to playback 4K videos on the iPhone 6. Even if Apple hasn’t announced it, the iPhone 6 and 6 Plus are ready to play 4K videos. Manual iCloud.com photo uploads now available to all Apple users — After spending a few weeks in developer-only beta testing, the new iCloud.com photo uploading feature is now available on the Web to all Apple users with iCloud accounts. iPhone 6, 6 Plus shipment times drop to 7 to 10 days, 6 Plus at 1 to 2 weeks — Apple is slowly catching up with demand for its popular iPhone 6 two months after the handset launched, with the company’s online storefront now showing shipping times pegged at 7 to 10 days for most models, including the 16GB iPhone 6 Plus. New games — There’s Monster Strike, Ironkill, Kingdom Rush Origins’ Tower Defender, and three new Final Fantasy games are coming. iDevice horror — Last year Hooked Digital Media released Haunting Melissa, a serialized horror movie that was exclusive to iOS. Earlier this week the group released the sequel, Dark Hearts, which picks up where its predecessor left off. There’s more creepy goodness here, released one chapter at a time. Apple has made ‘Things for iPad’ free for a week — Apple made Things for iPad from Culture Code free for a week starting now. Things is a task manager/todo organizer, and it’s become quite popular. Things for iPad 2.5 was recently released and brought a ton of new features. Apple liked it enough to make it the free app of the week, so grab it while you can. It’s normally priced at $19.99. Use a PDF to see how big Apple Watches really are — Developer Craig Hockenberry, of Iconfactory, has written up his thoughts on his first day with WatchKit, which was released with much fanfare earlier this week. 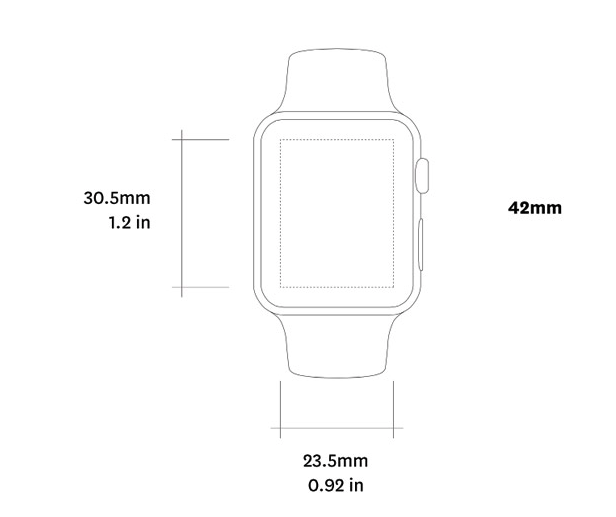 There’s a lot of discussion of the programming elements, but I thought one of the more interesting bits was a PDF created by Thibaut Sailly of the actual physical sizes of the watch itself (pictured above). A new app takes Time Lapse photos in HDR — Time Lapse with HDR app (NZ$2.59) from Lucky Clan adds an additional feature for the company’s Time Lapse app. The app adds a simple HDR button on screen, but it can only be enabled under iOS 8 and it’s going to work best on the new faster iPhone 6 and 6 Plus phones, although the app is universal. The Time Lapse feature without HDR needs only iOS 7 or above.